By all means, there is nothing wrong with promoting yourself, but far too many people over at Sirrine Hall are all too willing to be their own greatest cheerleader without even having an inkling of exactly what they're cheering for--I think this is exactly what Austin Kleon means in this section of the book. Contrary to the popular belief evident in the actions of many of my peers, promoting yourself--while important--is not your job. If you do work well enough, and put it in the right places at the right times, eventually good will come of it. If you focus on putting your work everywhere all the time, you're going to have spent far too much time creating an inferior product that will be seen by far more people than you're going to want. 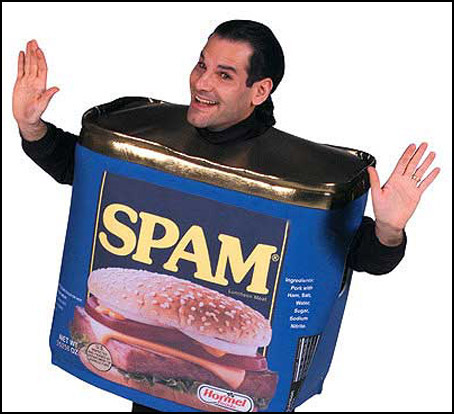 Hey Joe - I really like your take on Kleon's idea of "human spam." Like you mentioned, our culture is definitely one of self-promotion, and while this can sometimes be helpful for getting work noticed, some people haven't found a balance between sharing good work and just sharing everything. I think your perspective on the attitude of many students in business-related majors is very interesting, and one many of us haven't experienced since we mostly hang out in Daniel Hall. I think the business culture, which often involves sales, marketing, and a lot of self-promotion to climb the corporate ladder, falls prey to human spam more than other fields. I agree with you - better to spend time creating something you're proud of and then share it than to share just for the sake of sharing. Thanks for your insights!